Celebrities who said they had been victims of press practices were joined at the Leveson Inquiry into media ethics by a small group of journalists who offered a view on the workings of tabloid newsrooms. The procession of celebrities, which began last week, continued on Monday with singer and former child star Charlotte Church giving evidence. The 25-year-old said she had been harassed by tabloid papers since she was young and she said The Sun newspaper printed a countdown clock in the run up to her 16th birthday, counting down the days until she would reach the age of sexual consent. "I was really, really severely uncomfortable with any kind of innuendo like that," she said. Former TV presenter Anne Diamond followed and claimed the News of the World ran a vendetta against her after she accused Rupert Murdoch during an interview in the 1980s of "ruining people's lives". After that the paper ran an article headlined Anne Diamond Killed My Father, offered her nanny £30,000 for a story and sent a reporter posing as a doctor into the hospital where she was giving birth. Also up on Monday was Christopher Jefferies, the man "shamelessly vilified" by some newspapers after he was arrested over the murder of Joanna Yeates in Bristol. He was later cleared and another man, Vincent Tabak, was convicted. Mr Jefferies described the press coverage of him: "It was certainly suggested that there may well have been some sort of sexual motive for the murder of Joanna Yeates and... it was suggested in some of the articles that I was gay. "So that created a bit of a problem as far as that line goes. There was another suggestion that I was a bisexual. The press were trying to have it every possible way." On Tuesday former NoW features editor Paul McMullan strolled onto the scene to enjoy his five minutes of fame. Mr McMullan, who now runs a pub in Kent, defended the NoW and tabloid journalism in general and added: "I absolutely loved giving chase to celebrities, I must admit. Before Diana died it was such good fun. How many jobs can you actually have car chases in? It was great." He went on to claim: "Privacy is for paedos, fundamentally. No-one else needs it. Privacy is evil. It brings out the worse qualities in people. It brings out hypocrisy." Mr McMullan then turned on his former bosses: "They should have been the heroes of journalism, but they aren't. 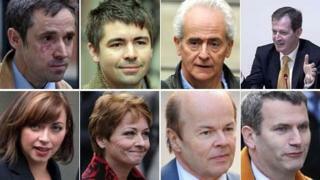 Rebekah Brooks and Andy Coulson, they are the scum of journalism for trying to drop me and my colleagues in it." Former Daily Star journalist Richard Peppiatt told the inquiry the paper did not use private investigators like Glenn Mulcaire, but added: "I don't think that was some sort of ethical decision as much as a financial one. "Their budget is significantly smaller than some of their rivals, and often they are quite happy just to follow up other people's news rather than be too bothered about actually getting genuine exclusives themselves." At the opposite end of the journalistic spectrum was Nick Davies, the Guardian investigative journalist who broke the story which murdered schoolgirl Milly Dowler's phone being hacked, which ultimately led to the NoW closing. He said the Press Complaints Commission had been a failure and he said apologies should be published as prominently as the original articles. "If I publish something which falsely damages somebody's reputation, what they deserve is a correction of equal prominence not the PCC's weasel words 'due prominence'," he said. Mark Lewis, the solicitor who represented the Dowler family, said he was shown a "truly horrific" surveillance video of his ex-wife and 14-year-old daughter shot by a private detective hired by News International, owners of the NoW. He told the inquiry: "News International sought to destroy my life, and very nearly succeeded." On Wednesday Tony Blair's former press secretary and director of communications, Alastair Campbell, made a wide-ranging attack on various parts of the media. Mr Campbell, himself a former journalist who worked at the Daily Mirror, criticised media managers for cutting back on staff and tying down staff to "desk jobs" where they essentially "rehashed" copy from agencies or made up stories about celebrities. He said: "How to boost genuine investigative journalism, I think, is part of this debate, because it is dying." Transcripts of the hearings are available on the Leveson Inquiry website.